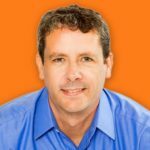 Eric Mosley is an HR visionary, author, and the force behind the WorkHuman movement. As CEO and co-founder of Globoforce, he is leading the charge to dismantle old HR processes and challenge organizations to build new ways to connect the modern workforce. Eric has long believed that recognition and positive reinforcement unleash discretionary energy in employees, inspiring them to do the best work of their lives. Eric is the author of The Crowdsourced Performance Review and co-author of the award-winning book, The Power of Thanks. 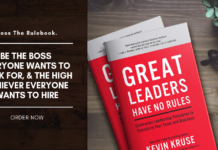 Kevin Kruse: Our guest today, he's an HR visionary. He's an author. He's the force behind the WorkHuman Movement, and he has long believed that recognition and positive reinforcement unleash discretionary energy in employees, inspiring them, of course, to do their best work. He's the author of The Crowdsourced Performance Review, coauthor of the book, The Power of Thanks. He is the CEO and co-founder of Global Force, Eric Mosley. Eric, welcome to the show. Eric Mosley: Hi. Great to be here. KK: Great to talk with you, and I've been really excited because you're doing some new and innovative work. We've talked about you work in the past with recognition and some of your books, but you've done something new here. You teamed up with IBM and you came up with a new index you're calling the employee experience index and did a study around it. First, I'm just curious. How did the partnership with IBM come about? EM: We've worked closely with IBM over the years. We have a lot of common customers, as you might imagine. Global Force is a company, we deal with some of the world's largest Fortune 500 companies in hundreds of countries around the world. IBM operate at that level too, so we work very closely with them for some of our customers. We know the folks in this area of IBM. When we set down on this path to look at the employee experience and what is a new set of employee perceptions for how they view their relationship with their employer, it seemed like a no-brainer to work with IBM because they were also exploring these areas. They were trying to bring Watson to bear on these big issues. The scale of IBM and Global Force together meant that we were able to run these surveys to 22, 000 employees across over 40 countries, so really operate that index and get data at real scale and then leverage our technologies and IBM Watson then to analyze and look through the results. They were a fantastic partner for an exercise such as this. KK: Tell me a little bit more about creating a new index. Where did you feel that employee engagement was falling short or not serving us well? What were your thoughts on that? Why do we need something new? EM: Well, I think the world of HR is evolving, it always has and it always will, and the concept of employee experience or engagement or energy or satisfaction or any of these concepts evolve as culture evolves in the world. What we're seeing over the last 10 and 20 years is a move away from this command and control type management influence to something that's much more crowdsourced, much more social, much more from the people. As culture has changed in terms of the advent of social networks and how we live our lives, how that pertains in the workplace has meant that employer-provided engagement is an outdated concept and something that took the voice of the employee and the reality of today is, a more social culture was needed. 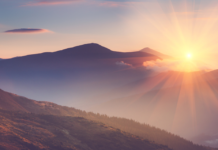 Looking at things like organizational trust, empowering the employee, talking about issues around things like meaningful work, which brings in some topics from the burgeoning movement around happiness, which is generally quite new. The concept of what makes a human being happy, so taking concepts like that, bringing it in all touches on how an employee feels about their relationship with their employer. It's a next generation, and it will continue to evolve, and something else will replace this as culture evolves and people. It seemed like the next step to broaden it and bring those more modern cultural attributes to bear. KK: That makes a lot of sense, and I'm looking at your paper off to the side here, and Employee Experience, you guys have broken it into belonging, purpose, achievement, happiness and vigor. You created items to measure those, right? And then also looked at if those count when it comes to the hard business metrics. Tell us a little bit about the study. EM: Well, the study obviously, as you said, at great scale, so people all over the world. Then, one of the most fascinating aspects of it was to look at how the results compared from region to region in the world, from country to country in the world, and then delving down into those fundamental elements of the results like what is most important. When I think about how a leader or a manager will take this data and change how they work or take it on board, they really need to understand that what they're dealing with when you're leading a team is, you're dealing with a group of human beings. When you put a lot of these things to the side, you realize that human beings have some core needs. Those core hierarchy of needs, fundamental to them is the relationships between employees including the relationship with the manager, and then also positive reinforcement for the good work that they do. It's only when those things happen that you can be who you want to do, who you aspire to be, which is self-actualization. That links to meaningful work because meaningful work came out as the number one criteria. When a single manager looks at a lot of these results, what they have to do is take a step back and think, “Well, I'm dealing with a human being here, and each human being has these core needs for connection between themselves and their own family outside of work, their colleagues inside of work,” and they need to feel that what they do matters. That's on two axes. One axis is their individual contribution matters, so in other words, somebody provides appreciation and positive reinforcement for the work that they do, and on the other axis, that the work that they do collectively with those people that they're friends and colleagues with, that, that matters in the world as well. The experience index shows that those elements are an outgrowth from the core human needs that we all have. KK: As someone who's been deep into this for a long time, I immediately went to look at, okay, so you've got these interesting metrics, but do they matter? Do they actually correlate to something, and they do. People want to know, do these engagement courses link to discretionary effort? Are we getting discretionary effort out of the workforce, and does it reduce internal? I mean there's all these other measures you could look at. Safety, quality, et cetera, but those are really the big two: turnover and discretionary effort. EM: Yeah, absolutely. I think the number one thing is, in terms of output, so performance, so I always want to talk to managers about these things and try and say, “Look, just try and remember that you're dealing with a human being,” because you can get lost. You can get lost in the verbiage around this stuff, and when you're sitting across from a person, from somebody that you're locked in a room with for most of your life, your colleagues, you can dampen down their creativity, their initiative by taking away some of their fundamental human needs. If they have no relationships with anybody in work, if they have no colleagues, if they feel that they're not connected to another human being, well, that's a fundamental human need. They're operating them from a deficit. If they express work, if they perform at a certain level and nobody says, “That was great. That was a great job. That was great work,” or “What you did was valuable,” again, you're suppressing a core human need. They're almost operating at a deficit. Until that deficit is met, until they have closure on the work that they do, on the performance that they do, they're not going to be inclined to want to do it again. Once you satisfy those core human needs, like there's a lattice of relationships in the organization where people have touch stones for people relationships that they have. Once, when they do good work, they get some positive reinforcement, now, you're lifting a millstone from their shoulders. You're taking a weight off them. That deficit is gone, and what's left is, they can just express themselves. They can become more creative. Their energy will naturally flow. When you hold back on somebody receiving some of their core human needs, you're basically shackling their energy. You're putting a tax on their energy. A tax on their brain power is now being diverted to, well, what is the point? Cynicism, a toxic influence, so once you meet those core human needs, people become more expressive. They become more creative. They just have more brain power to concentrate on those things, and when they do that, they feel like they're getting closer to that self-actualization. As they move towards that, they're not thinking about the grass is greener on the other side. They're not thinking about, should I be working in a different organization, because they're happy. They're concentrated, and they're expressing themselves. They don't have that deficit. You get more performance, and you get more retention, and so all managers, all leaders should always think about, “How can I meet them in those regards and make sure that whatever we do,” whether it's implementing software or having new HR policies or processes, it should be to energize employees but also to build relationships between employees. Very few companies have an agenda, like an official agenda to do things that will deepen the relationships between their employees, between colleagues, yet it is one of the top things that makes people stay and also has that dividend of them working harder. They should. Organizations should think about, “How can I have processes,” or if we're going to implement new software, if I'm going to change procedures, can I bring an element of strengthening relationships between employees? Can I make sure that, that results in the positive feedback? 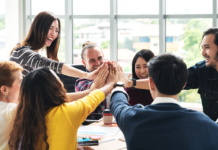 One of the dirty little tricks of deepening relationships between employees is that you de facto-delegate some of that positive reinforcement to the peers. Seeing the manager who has a team of eight people, for example, in a modern knowledge economy, he won't have visibility on all the work those eight people do. He is probably … He/she is probably stressed out, probably trying hard to do all the things they're meant to do but not quite getting there like the rest of us, so by delegating the meeting of those core human needs to those eight people themselves, between the eight of them, they can provide context for each other. They can provide positive reinforcement. They can see and notice and call attention to all the work that the eight people do because in aggregate, they're all going to see everything, and so you're really just leveraging the people. That's where that social crowdsourcing of management comes in. You just need to meet those needs. KK: You mentioned early on some regional differences. I mean are there certain countries or regions that have unusually low numbers on the employee experience index? Are there certain regions that seem to be doing it better? EM: I would say yes in general. There are some that are higher on the curve, and some that are lower on the curve. If you look at a region like Europe, for example. On an average, it has a pretty decent level, but within a place like Europe, you have some countries that are excelling in this area, so probably the Nordics, Scandinavian type countries, maybe including the likes of Switzerland, for example. They tend to have higher employee experience. If you look at from outside of work, they generally score higher as well on things like world happiness index, so there's a clue there. They tend to be more satisfied. Maybe then, therefore, they're happier. They can express themselves more at work, and they feel like they're building deeper friendships and all that good stuff. Then, on the other hand of the scale, in a place like Europe, you have countries like Hungary, Russia, the Czech Republic, some of those eastern block type countries, and there's no doubt, they score lower on an employee index, experience index. Again, you would probably see an analog for that in happiness as well. I think these things are all inextricably linked, and that does play out then in the results of the employee experience index. You can match it to freedom of talk, freedom of expression, more social, more crowdsourced themes in the countries and in the companies. Where there's more of that, you get more happiness. You get more engagement, more energy, more creativity. When there's a lot less of that, you get unhappiness. You get isolationism and disengagement, and then less of all of the good things. KK: Right. Now, I want to shift just to some industry stuff. I have found it to be an interesting year where it seems like all of a sudden again, human capital management companies are hot, and they're either raising money at high valuations or they're getting acquired. LinkedIn just acquired Glint as an example. It surprised some people, and I'm encouraged by that. It's one sign of value, so I think people are seeing that we are in a new modern workforce, a new age of work. This blend of social and technology, everything moving so fast, and so I think that's good overall for the industry. I know you've been at this for a long time. I mean what are you seeing for Global Force and the larger human capital management space in the years ahead? I mean what are the hot themes? What should we be expecting? EM: Yeah. I mean it's an exciting time, and to build on maybe some of the themes I mentioned there in terms of the word social and crowdsourcing, things like that are changing how we think about management practices. For example, the advent of an element of crowdsourced pay, for example, where leaders will look at their total rewards mix and try and rebalance to create an element of crowdsourced pay, not just manage or to subordinate or company to subordinate, transfer a value, but now, the people transferring value to each other. That's a phenomenon we're hearing more and more in HR leader type circles, because you can carve out a very small amount of the total rewards mix like 1%. One penny out of every dollar, and give it to the people, and say to the people, “Give it to each other. Whenever you see great work, give it to each other.” That has a dramatic effect on the morale, the empowerment of the workforce. For example, you might have … You start to look at, if it's 100%, like a dollar, you might see that 1% goes to crowdsourced pay or recognition type programs with points, stats or micro-bonuses, you might have 60 cents going to base pay and 20% going to bonuses, and 9% going to certain benefits or whatever. If you were to take one extra penny off each of those layers and put it into the crowdsourced elements, you now have three cents given to the people. Now, you're 59 instead of 60, so you've made virtually zero impact on the other buckets. Going from 60 to 59 is meaningless. KK: They're not going to miss it. EM: You have trebled the amount of transfer of good will that's backed by value, this crowdsourced micro-payments for the people, and you've given them so many more transactions, so many more votes on who's doing the best work, and where that value should go. That's a huge topic I think that's emerging. I would say there's another two big topics I see emerging. One is moving towards team-based everything, so starting to think of management in terms of teams, starting to think of engagement in terms of teams rather than even individuals, starting to think of, everything we do, we need to redo from a team perspective rather than an individual perspective. I hear that mantra all the time, and I think that's quite exciting because I think that also will strengthen relationships between people, because they'll be working in ad hoc teams that break apart and form, and they're part of other teams. The more relationships they can have, the deeper the ties they can have, and the more of their human needs are met, and the more retention they will get. Then, the third one, I would say is, HR leaders or business leaders in general are starting to realize that they're doing an awful lot of big ERP bureaucracy software, and so for example, when you talk to a CHRO of a Fortune 500 company today, they probably have two major software chart, technology platform projects going on at that time, be it a new ERP system, HR IS system, an extensive management system, whatever it happens to be, and those projects and those software platforms have all been born out of governance. They've all been born out of bureaucracy. It's all about control. It starts from security and admin, and it moves to control and command, and so ultimately, when they're launched, then it's a big, hard slog. Nobody wants to use them, because they're painful. Now, I hear HR leaders realized that. They're like, “Oh, yeah. We have to implement X.” Then, we're going to spend two years trying to get people to use it, and it's going to be hell on earth, and so there's a recognition of that, that maybe we need to start, but yet, they see their employees in the corridor on their phones, on their consumer apps, and they have no problem with adoption. The apps are inspiring the employees to use them, so I think what we're seeing now is a shift towards, can we implement something more human? If we're going to implement software, maybe a more human layer, a human applications layer that is not grown out of governance but grown out of collaboration and relationships and giving that consumer a shot of endorphins that they get from their consumer applications, and so things like a platform for social recognition or continuous performance management, some of those, meaning redevelop that and try to lessen the governance parts of them and heighten the sense of wonder aspects of them, the consumer dividend aspects of them so that they're adopted without you having to dedicate departments of energy to getting them adopted. We see that. That's a big shift. Over the next couple of years, we'll see a lot less talk of the governance, bureaucracy software and a lot more talk of the human software and how that's basically being adopted, facilitating a more easy swap of energy between employees, deeper relationships and then, therefore, more creativity, more energy. KK: I think you're right. It is amazing that it's taken this long to get here. I was reading recently a piece by the analyst, Josh Bersin, on learning in the flow of work and this new age, and he was pretty critical. If you read between the lines, there's a lot of criticism of HR and training. You made the point of how often are learners actually involved in the selection of the tools, the content, the libraries that are being chosen? I mean usually, it's as you said. There's that panel. There's that department. There's multiple heads of departments evaluating a platform, and the end-user really isn't part of that process driving it. Then, we all have to rally and do change management to try to force everyone to adopt the CRM or the LMS or whatever it is, and to your point, everyone is addicted to their phones. You can't not use your phone or pick it up when it buzzes or engage with others on the social platforms. Hopefully, we're getting that. We see, let's engage the end-users in it and find out like, “What is it that's making, turning habits” … How did Facebook become a habit or Instagram or any of those, and how can we consumerize our enterprise software? EM: It's a great example, actually, if you talk about learning platforms, for example, and Josh Bersin's article, so a traditional way of approach in that is, they'll pick a platform in the company. It will be a big feature comparison matrix. The big feature comparison matrix will be, half of that matrix will be about admin, governance, security, all of those important things, but none of that is going to excite the user. Then, they're going to launch it. The big change management process. They're going to command people to learn. They're going to say, “I want you to finish X modules by the 15th of December,” and they're going to see it on the 16th of December and realize 20% of the organization has actually done it. Then, it's like, oh, holy moly, what are we going to do? It's just a very uninspiring way of achieving the goal whereas, as Josh mentioned, if you can have in situ learning, you can have teachable moments that are peppered throughout somebody's day where they're being inspired to do it. There's certain hooks that bring them back to do it. They get a positive reinforcement from doing it, and the software is a delight to use. That's the game-changer. That means you're sitting on the 16th of December, and most of the organization are invigorated with it. They're even talking amongst themselves about it. They're pointing out how cool something is, and they're learning by osmosis in the most powerful way because it's in these teachable moments that are in situ when they're doing the work. It's night and day. It's just night and day, and what the old style is, and it's still 90% of what everybody does, but what the old style is, it's born out of bureaucracy. It's born out of a command and control mindset. When you're purchasing the software, I understand how it works. It's very hard to have a matrix of features that inspire or generate excitement. It's very hard to document that. It's more art than science, but that's where we're going. The realization is setting in, and so what we'll see is much less bureaucracy and much more energy and empowerment. KK: I hope it comes soon. Eric, tell us, where can we find out more about Global Force and the employee experience index? EM: Obviously globalforce.com is the place where everybody would start. I mean Global Force, we have our WorkHuman Cloud platform, which is a suite of applications for running social recognition programs, which is this micro-bonuses between employees when they see great work being done, conversations, which is a continuous performance management product and others. The other area is workhuman.com. WorkHuman is a conference that we set up about four, coming up to five years ago now, and it was basically a conference about a movement, about the movement of bringing humanity to the workplace. How can we make the workplace a more human-sensitive environment? I have to say, we've been unbelievable blown away over the last four years. The conferences doubled in size every year. It's a conference. It's more like a religious experience for some HR people. I call it would-stock for HR. We get thousands of HR people who go, and they just cannot believe that they have a couple of days to just think about how to bring humanity to their workplace. They go away with a lot of great ideas, and as I said, because of word-of-mouth, that's doubled every year. It's in Nashville in March in 2019. Workhuman.com is another great place to start that synthesizes an awful lot of these topics that we've been talking about today into some content and obviously, the major conference. KK: Eric, thanks for all the work that you're doing. Thanks for coming on the show. EM: Thank you, Kevin. Thank you very much. I enjoyed it.